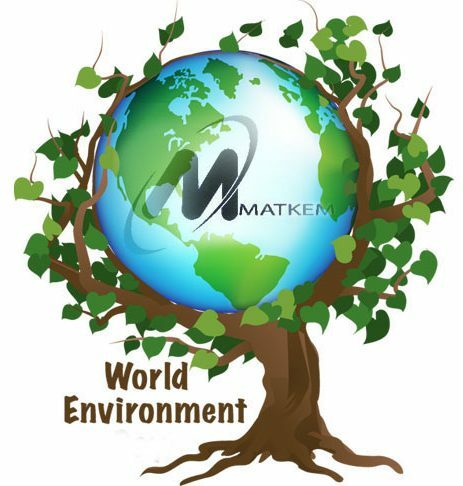 Matkem System Supply & Engineering Co.,Ltd. is a company that actives in supplying many products and business is growing continuously. Some of the products are boiler and parts for boilers. Pioneered of Company has been the sale for once through boiler in Thai Market for more than 30 years. The company determines to be a leader dealing with engineering, environmental technology, services and system installation with emphasis on product quality and service. Please click here to download the attached file of our company profile. Moreover, our company is approved on quality management in compliance to ISO 9001:2015 regarding “Sale, Installation System and Services”. – What specific advantage do Miura boilers offer to hospitals? The product uses the steam pressure technology, which is a small molecule and heat to effectively clean various material surfaces. The steam and heat will cause stains and dirt to be washed off easily and safer than ordinary high-pressure water washer. Additionally, using SSANGMA STEAM CAR WASHER to clean the surface of vehicles both interior and exterior, you can see that the steam from SSANGMA STEAM CAR WASHER would not break any surface. The important thing is that you don’t need to use a sponge, chemical, or labor “To remove stains”. This is to avoid any scraping or scratching surfaces as much as possible, which is a major problem in today’s car wash.
Let’s look at the advantages of washing your car with SSANGMA STEAM CAR WASHER steam car wash systems. It does not much money but it will increase your money, it is cost savings when the products is put to commercial use, such as car care SSANGMA STEAM CAR WASHER can help generate more revenue for the business. The car wash with SSANGMA STEAM CAR WASHER will help you reduce unnecessary costs. It also helps to reduce human resources. As a result, you save on both labor and time. The important thing is that you can also reduce the costs of purchasing materials, supplies and equipment, such as car polish, shampoo, chemical or foam. Much more than that, care of Businesses can provide faster car washing service to more cars. (That means the number of vehicles to be serviced per day will increase too). If there are averagely 30-35 cars per day, according to the ordinary car wash, 20-25 cars could be washed per day for but with SSANGMA STEAM CAR WASHER both interior and exterior can be washed at the average of 15 minutes per car depending on the size of the car (Calculated from the opening 8 hours a day). Better performance because car washing with SSANGMA STEAM CAR WASHER will give better results than the ordinary car wash. This ensures that the cars that have gone through the car wash are truly clean. Car care business will commercially result in fast break-even point because of low investment It also reduces consumables cost. Break-even point is within 30 days calculated from the average car wash 35 cars per day at the rate of 180-220 THB each time (not including cost reduction from reducing the cost of purchasing materials, supplies, etc.). SSANGMA STEAM CAR WASHER has been designed to be moved easily. It also saves space with the small machine making hard work hard can be done within a short time. It also simplifies the process of the engine washing and air condition compartment. It is intuitive, user friendly, and surface material friendly because SSANGMA STEAM CAR WASHER has been designed and created by experts in engineering. Therefore, this technology can be applied to various applications to avoid the use of steam to destroy the material surfaces both inside and outside of the car, tires, carpet, upholstery, air duct, alloy wheels, and the engine compartment. Moreover, it reduces and eliminates dirt, germs, or odors. Using Steam Car Washer will help you save a lot of water. Typically, a normal car wash will use about 60 liters (for Sedan) or 16 gallons of water but a car wash with SSANGMA STEAM CAR WASHER use only about 1 gallon or about 3 liters of water. It can function continuously 24/7, so there is no need to worry or be concerned in the event of heavy use. Finally, not just a car care business or industry that can use SSANGMA STEAM CAR WASHER, SSANGMA STEAM CAR WASHER can also be used in a wide range of diverse industry sectors; the factory to clean the equipment, transportation centers; taxi, van, bus, car rental companies. This includes hospitals, universities, science labs, hotels, resorts, restaurants, a maintenance rooms to wash oil. This also includes boat or Jet Ski Rental a, animal farms, and slaughterhouses, etc. If you are an End User, Re-seller or want to use SSANGMA STEAM CAR WASHER in the business sector / industry, you can simply contact us at info@matkemboiler.com for more information. [OCT 3, 2018] : Warning about Imitation Products | Hardlock Industry, lead manufacturer of self-locking nuts. Hardlock’s mission is to make society safer and more secure through fasteners that do not loosen. We never stop working on safety improvements. Our products are backed by technology, quality and a history of performance. Beware of similar products that sell for less but come up short when it comes to safety. We are proud that to date not a single accident has occurred due to a Hardlock Nut coming loose. The guarantee of our technology, quality and safety is all contained in the HARDLOCK mark (sometimes abbreviated to HL for space). The stability in performance over years provides incalculable economic benefits because maintenance is not needed. The Guarantees of reliability, performance, quality and safety are the mission that is entrusted to us. We hope our customers will look for the HARDLOCK mark to ensure they are purchasing genuine HARDLOCK products. The use of imitation products may result in various problems and damage. We recommended genuine Hardlock products for excellent performance. The Hardlock marks are a guarantee of quality and safety. MSSE, we are the authorized distributor and importer of Hardlock Industry in Thailand and our exhibition to introduce Hardlock products at SmartRail Asia & Transport Infrastructure Asia 2016, Makkasan Railway Station during Dec 1 to 2, 2016 is finished. There are numerous people interested in our products and registered to get further information. So that #Hardlock products as Nut, Bearing Nut and Set Screw are recognized in numerous industries depending on the usage the Maker produce numerous materials (steel, stainless steel) to handle numerous usages. There are many grades classified by classes starting from SS400, S45C, SUS304, SCM435 (HRC45-53), S45C (HRC30-43). And there are also numerous grade for plating (Surface Finishing) such as Electro galvanize (Zn) +Trivalent Chromate, Hot dip galvanize (Zn) HDZ35, Phosphate mangan coating, Four iron oxide coating. Or you can simply click the 2 shortcut links to download the PDF files. Although now there are many companies that produce loosening nut in the market. But they are still poor quality. Even if some may be able to prevent loosening, but the bolt has to be unscrewed(nut) during maintenance and/or construction causing the thread to be damage and unusable, you’ll end up having to buy new ones. However, Hardlock industry, a Japanese manufacturer with sales growth. The company has also received lots of international awards and is able to solve the tread damaging problems by manufacturing nuts and bolts when tightened it will not be loosen no matter how high the vibration. The important thing is it can be reusable up to 50 times with the loosening prevention property retained. It’s not only recognized in Japan but also in other countries; China, UK, Taiwan, and Australia, etc. have also been importing these products in extremely large quantity. Additionally, it not only meet the needs of construction industry, but it also meets the needs of factories with machinery operating at high vibration. In conclusion, besides loosening prevention, it’s also cost saving; inspection time, manpower cost, and reusable with the loosening prevention property retained. This interesting innovation has been officially forwarded to Thailand. And this is the new business of MSSE, an ISO 9110 certified company, is ready to provide consultation to any industry that is interested in this innovation. By the way, our main products are also steam boiler, vacuum cooler, steam car washer, and equipment including consultation, system installation and design. We also have service centers ready to provide you with aftersales services (24 hours). We took our clients to visit and inspect the boiler product in Miura Factory, Japan. Mon - Fri: 08.00 - 17.00น.